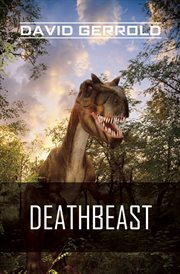 The item Deathbeast, (ebook) represents a specific, individual, material embodiment of a distinct intellectual or artistic creation found in Charlotte Mecklenburg Library. Eight time travelers journey into the Cretaceous period in this action-packed adventure from a Hugo and Nebula Award winner. Six hunters and two official guides are going on the trip of their lifetime. Their destination? Earth as it was a hundred million years ago, long before human dominion, when the great hot-blooded dinosaurs reigned supreme. Each of the time travelers has a different motive. Some are on the strange safari for pay. Others are taking a holiday from civilization. There are women who wanted to show themselves the equal of men-and men out to test and prove their manhood. But whatever their drives and desires, their strengths and weaknesses, the ultimate horror awaits them..